Get to know our talented and respected physicians and staff. We understand that there are few things more precious than sight. At the Erdey Searcy Eye Group we work hard to make sure you have the latest in treatment options. Our commitment to you is to provide the highest quality of comprehensive eye care to you and your family! Click on a name below to find out more about the top ophthalmologists in Columbus, Ohio! 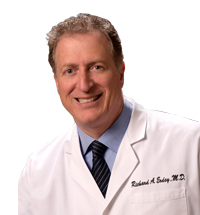 Richard A Erdey, MD is a Board Certified Ophthalmologist specializing in the diagnosis and treatment of eye conditions. He is a corneal and refractive specialist with areas of specialty training, experience, and research in both refractive surgery (including LASIK, PRK, ICL, RK, and AK), and anterior segment, corneal and lens surgery (including small incision rapid rehabilitation “Dropless” cataract surgery,intraocular lens implantation (IOL), corneal transplantation surgery (PK) and laser surgery). Dr. Erdey is a Fellow of the American Academy of Ophthalmology, a member of the American Society of Cataract and Refractive Surgery, International Society of Refractive Keratoplasty, American College of Surgeons, the American Medical Association, and is a Diplomat of the American Board of Ophthalmology. A New York City native, Dr Erdey completed his undergraduate degree at Hofstra University in Long Island before attending The Medical College of Virginia in Richmond for his M.D. degree. He returned to New York to complete an Internal Medicine internship followed by an Ophthalmology residency at North Shore-Cornell University Medical College where he was chief resident. Upon completion of his Ophthalmology residency in 1988, rather than practice general ophthalmology, he continued his studies at Ohio State University to become a refractive and cornea specialist. As a corneal fellow Dr. Erdey also participated in early excimer laser bench work and clinical research. This experience provided the foundation for Dr. Erdey to master techniques for refractive s urgery, corneal transplantation and “no stitch” cataract removal using approaches which permit rapid visual rehabilitation. His commitment to ophthalmology research and teaching led him to co-direct the Cornea Research and Laser Laboratory at the University of Rochester-Strong Memorial Hospital in New York in 1989. Ophthalmologists, both nationally and internationally, seeking additional corneal expertise became corneal clinical and research Fellows under Dr. Erdey’s direction. That same year, he became an investigator for the Food and Drug Administration (FDA) clinical trials of the VISX excimer laser system for PRK, which led to its subsequent approval for use in the United States. 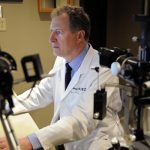 Since relocating and establishing his practice in Columbus in 1992, Dr Erdey’s passion for advancing corrective vision surgery has led him to participate as an investigator for numerous clinical studies. These include Intacs for Keratoconus, Iris Reconstructive lenses, CRS LASIKand the Implantable Contact Lens (ICL). Dr. Erdey’s patient was the first in Ohio to receive this implant in 1998. This event was featured on local and national television coverage in over 10 major US cities. Over the years he has accumulated extensive clinical experience with four different Excimer laser systems and performed several thousand refractive surgical procedures. He is recognized as a pioneer in corrective vision surgery through his development of new surgical techniques andinstrument design. Recently, more advanced tissue-sparing cornea transplantation techniques DALK, DSEK, DMEK have been introduced that have unique advantages over traditional full thickness cornea transplantation, PK, a procedure which has changed little over the last 100 years. As an advisor to the Central Ohio Lions Eyebank, Dr. Erdey has championed these newer procedures and helped to refine and establish them in Columbus. Dr. Erdey offers these advanced cornea transplant options to suitable patients. In 2014, he became the first in Central Ohio to perform “Dropless” cataract surgery, a safer and more cost effective alternative to using eye drops after surgery. This has become the standard of care in his practice. Dr. Erdey’s lectures extensively and his numerous research and clinical articles are published in multiple professional journals and textbooks. 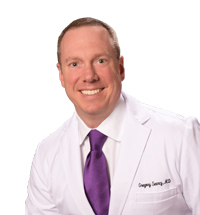 Gregory D Searcy, MD is a Board Certified Ophthalmologist who specializes in the diagnosis and treatment of eye disease. His specific areas of specialty training, experience and research include LASIK, PRK, astigmatic keratotomy, dropless small-incision no-stitch cataract surgery and intraocular lens implantation, radiofrequency and laser cosmetic surgery (blepharoplasty and skin resurfacing), and laser treatment for diabetes and glaucoma. Prior to joining the practice in July 1999, Dr. Searcy was Chief Resident of the St. Francis Medical Center’s Department of Ophthalmology. He has completed several ophthalmic fellowships including the C-LASIK Fellowship Program and two advanced research fellowships in diabetic eye disease at the National Eye Institute of the National Institutes of Health in Bethesda, Maryland. 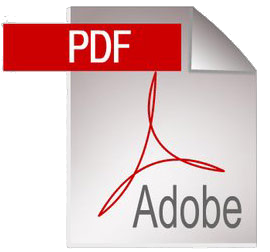 This work, along with continued clinical research, has been presented at national ophthalmic conferences and published in numerous professional journals. Dr. Searcy is a Fellow of the American Academy of Ophthalmology, a member of the American Society of Cataract and Refractive Surgery, International Society of Refractive Surgery, Ohio Ophthalmological Society, Ohio State Medical Association, Columbus Medical Association, Columbus Eye Ear Nose and Throat Society, and a Diplomate of the American Board of Ophthalmology. Dr. Searcy remains committed to providing his patients state of the art, innovative ophthalmic medical, laser and surgical care. Daryl D Kaswinkel, MD is a Board Certified Ophthalmologist specializing in the medical and surgical treatment of the eye. He is a fellowship trained specialist in Cornea and External Disease, Refractive Surgery and Uveitis. 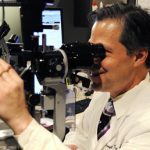 Dr. Kaswinkel’s extensive corneal experience includes challenging anterior segment reconstruction cases and corneal transplantation (PKP/PK) utilizing advanced techniques of targeted corneal tissue transplantation (DSEK and DALK). 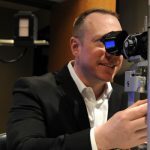 He has been involved in the research, investigation, and development of almost every laser used in laser vision correction (LVC) (Custom LVC, LASIK, PRK,) including Excimer, Solid State, and Intralase lasers (all-laser LVC). For those patients who are not suitable LVC candidates he is experienced in the use of Implantable Contact Lens (ICL), a very powerful option to correct refractive disorders. Dr. Kaswinkel performs small-incision, no-stitch, rapid rehabilitation cataract surgery using advanced intraocular lens designs. He has extensive experience in the diagnosis and treatment of Dry Eye Syndrome, a very common and debilitating eye condition. In addition, he specializes in the medical and surgical management of Glaucoma, including advanced treatment options such as ExPress Shunts, Setons and Cannuloplasty. Prior to pursing his medical career, Dr. Kaswinkel graduated college as a mechanical engineer. While working as a manufacturing engineer, he made contributions to the development of today’s advanced military aircraft. Because of his subsequent biomedical engineering exposure, he decided to pursue a career in medicine and to eventually specialize as an ophthalmologist. He is a member of the American Academy of Ophthalmology, the American Society Cataract and Refractive Surgery and American Medical Association. Dr. Kaswinkel relocated to Columbus in 2008 to join Drs. Erdey and Searcy after practicing in North Carolina, Tennessee, and Chicago for approximately eleven years. He is honored and committed in providing Central Ohio with compassionate, state-of-the-art eye care. Samuel A. Gallo, M.D. is an Oculoplastic Surgeon and a board-certified ophthalmologist who has completed several years of additional, highly specialized training in oculoplastic surgery. Only 13 to 15 such highly skilled physicians are trained annually in the United States. Dr. Gallo understands the delicate anatomy and function of the eyelids and their surrounding structures. He specializes in eyelid surgery and cosmetic facial surgery. In addition, he specializes in surgery of the tear duct system, the orbit (bone cavity around the eye), as well as other structures around the eyes, the forehead and cheeks. Dr. Gallo has been specially trained to perform many different types of eyelid and facial surgery, ranging from surgical repair of eyelid abnormalities, treatment of eye socket injuries, restoration of the tear duct system, and management of thyroid related eye disease. In addition, he performs cosmetic facial surgery, including brow lifts, face lifts, upper and lower eyelid surgery, facial implants, Botox (for functional and cosmetic uses) facial filler for wrinkle reduction and skin rejuvenation. A Cleveland, Ohio native, Dr. Gallo received his Bachelor of Pharmacy with High Distinction from Ohio Northern University before attending the University Of Cincinnati College Of Medicine, where he was inducted in the Honor Society. He completed his Internal Medicine internship at Good Samaritan Hospital in Cincinnati before relocating to Los Angeles, CA for his Ophthalmology Residency at The Jules Stein Eye Institute at UCLA Medical Center. After a yearlong Fellowship in oplastics, Ocular Oncology, Orbital Diseases and Orbital Reconstruction at the University of Tennessee in Memphis, he spent an additional year of Fellowship in Oculoplastics, Orbital Diseases and Orbital Reconstruction, Aesthetic Laser Surgery and Facial Cosmetic Surgery at The Center for Eyelid and Aesthetic Surgery in Nashville, TN. Dr. Gallo is a Fellow of The American Academy of Ophthalmology (AAO), and has completed a fellowship approved by The American Society of Ophthalmic Plastic and Reconstructive Surgery (ASOPRS) and is a Diplomate of the American Board of Ophthalmology. 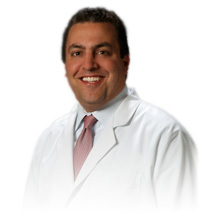 Dr. Gallo serves as a consultant to The Erdey Searcy Eye group for Oculoplastic and Cosmetic Facial Surgery. Patrick A Janson, OD, is Clinical Director of the Erdey Searcy Eye Group. 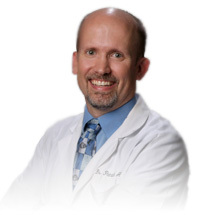 He received his doctorate of optometry from The Ohio State University College of Optometry in 1995, and joined our practice in 1996 after completing an 18-month residency under the direction of Richard A. Erdey, M.D. During his residency, Dr. Janson gained valuable knowledge in the areas of cornea, ocular disease, and pre-postoperative management of refractive and cataract surgery. Dr. Janson directs The Ohio State University College of Optometry externship program which involves clinical training and mentoring of senior optometry students. Dr. Janson is also a trustee of the Central Ohio Optometric Association; keeping pace with the local, state and national issues that effect ophthalmic and optometric professionals and patients. 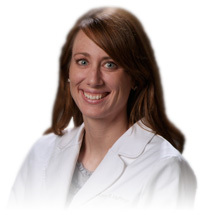 Kasey M Huffman, OD, staff optometrist, provides excellent, quality patient care. She also educates optometry students through our externship program with The Ohio State College of Optometry. 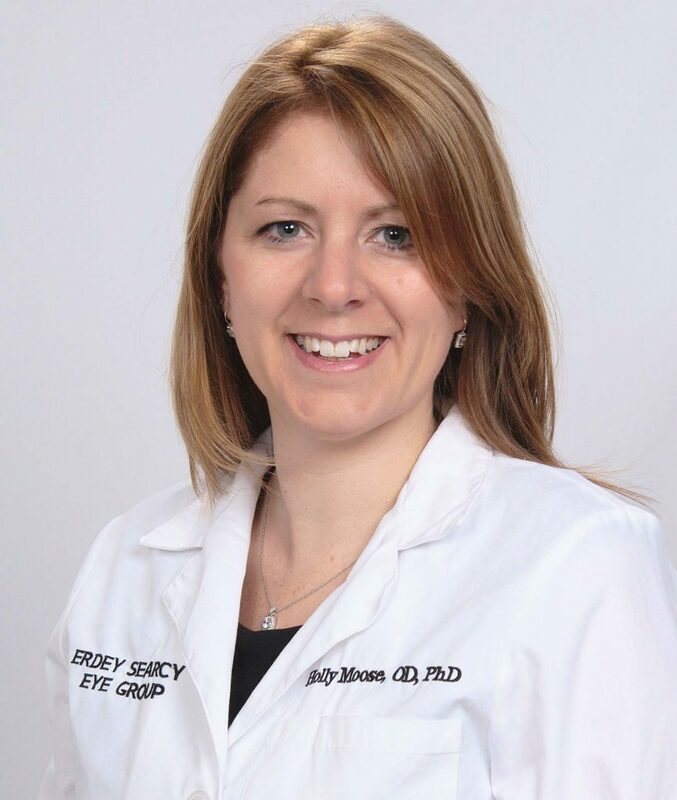 After receiving her Doctorate of Optometry from the OSU College of Optometry in June 2000, Dr. Huffman completed a 12 month cornea / ocular disease management / pre and postoperative patient care residency under the direction of Richard A. Erdey, MD. She is a member of several optometric organizations, including the American Optometric Association and the Ohio Optometric Association. 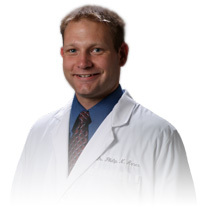 Philip N Arner, OD, MS received his Bachelor of Arts degree in Chemistry from Wittenberg University in 2002. He received a combined Doctor of Optometry degree and Masters degree in vision science from The Ohio State University College of Optometry in 2006. Dr. Arner’s master’s degree training focused on the evaluation of an instrument designed to measure the refractive error of infants. Dr. Arner continued his training by completing a residency at the Erdey Searcy Eye Group in 2007 with special focus on post operative cataract and refractive care, diabetes and glaucoma management, corneal pathology, and anterior segment disease. He is a member of the American Optometric Association and the Ohio Optometric Association. 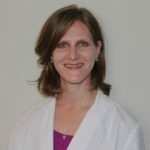 Melanie J Ballard, OD, received a Bachelor of Science degree in Life Sciences, with a molecular biology concentration, from Otterbein College in 2001. In 2008, she received her Doctor of Optometry degree from The Ohio State University College of Optometry. Dr. Ballard completed a one year residency in anterior segment and corneal disease at the Erdey Searcy Eye Group in 2009. During her residency training, she also focused on diabetes and glaucoma management, as well as post-operative cataract care. In addition to helping care for patients at the Erdey Searcy Eye Group, Dr. Ballard works at a private optometry practice in Westerville. She is a member of the American Optometric Association and the Ohio Optometric Association. Xuan Pham, OD received her B.S. degree in Biology from Arizona State University in 2005. She then received a Doctor of Optometry degree from The Ohio State University College of Optometry in 2010. 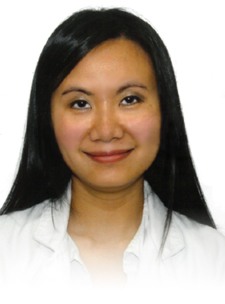 In 2011, Dr. Pham completed a one-year residency program at the Erdey Searcy Eye Group with a special focus on post-operative cataract and refractive care, anterior segment disease, diabetes, and glaucoma management. She is a member of the American Optometric Association and the Ohio Optometric Association. Holly E Moose, OD, PhD, received her undergraduate degree in 2003 from Capital University majoring in Biology with a minor in Chemistry. In 2009, she completed a Doctorate of Philosophy from The Ohio State University Integrated Biomedical Sciences Program; her research was focused on the molecular regulation of retinal stem cells during vertebrate eye development. Following graduate school, she pursued her clinical optometric degree and earned her Doctorate of Optometry from The Ohio State University College of Optometry in 2013. In 2014, she completed a one year residency at the Erdey Searcy Eye Group in ocular disease management focusing on pre- and post-operative cataract and refractive care, diabetes, glaucoma management, and management of corneal and anterior segment diseases. She is an active member of the American Academy of Optometry, American Optometric Association, and the Ohio Optometric Association. She is happy to provide eye care in central Ohio, where she has been a life-long resident. Jocelyn Daniel, OD, FAAO received her bachelor’s of science degree in biology and a management minor from Wittenberg University in Springfield, Ohio in 2008. She graduated from The Ohio State University College of Optometry in 2012. While in optometry school, she was the recipient of the Alcon case report award at the local and national levels, featuring a report on Graves’ Ophthalmology. She was also awarded Clinical Excellence in Pediatrics and Binocular Vision. 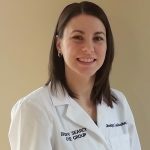 Dr. Daniel completed her ocular disease residency at the Louis Stokes VA Medical Center in Cleveland, Ohio in 2013 where she focused her training on management of cataracts, diabetic retinopathy, macular degeneration, glaucoma, specialty contact lenses, and low vision rehabilitation. She was a participating doctor leading discussions at the annual Glaucoma Day, a workshop hosted by The Ohio State University for optometry students. 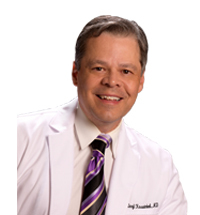 Dr. Daniel is a fellow of the American Academy of Optometry, a member of the Ohio Optometric Association, and a member of the American Optometric Association.